Trains will run on the Borders railway for the first time in more than 40 years when the Edinburgh Waverley to Tweedbank service resumes on Sunday. The reopening has given hope to other rail campaigners across Scotland, including those who want to see the lines to Levenmouth and St Andrews reopened. BBC Scotland transport correspondent David Miller has been to Fife to find out more about the campaign. 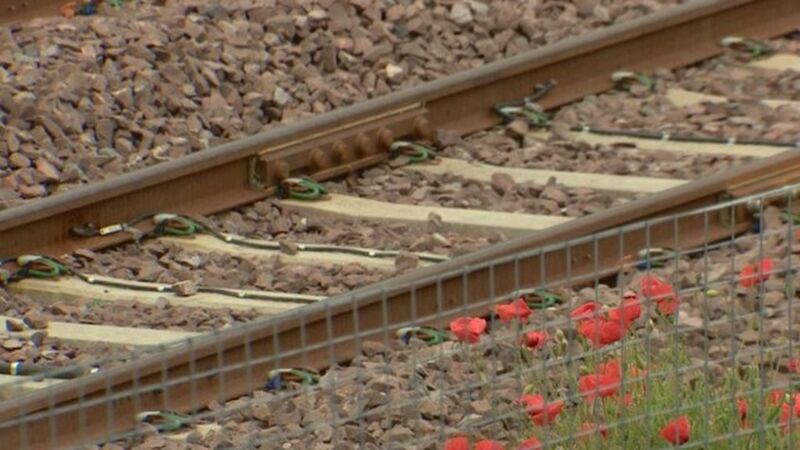 Campaigners are calling for the railway line between Levenmouth and St Andrews to be reopened. J37 No 64569 meets a photographic scrum at the south end of St Andrews station during the 1965 RCTS Fife Coast railtour. The J37 had taken over from No 256 Glen Douglas at Leuchars Junction and took the train round the Fife Coast line before handing back to no 256 at Thornton Junction. Formerly Leuchars Junction, the current Leuchars Station is seen looking north on 19 May 2005. The infilled bay was used by trains serving St Andrews and the Fife coast route. The St Andrews branch finally closed in 1969.